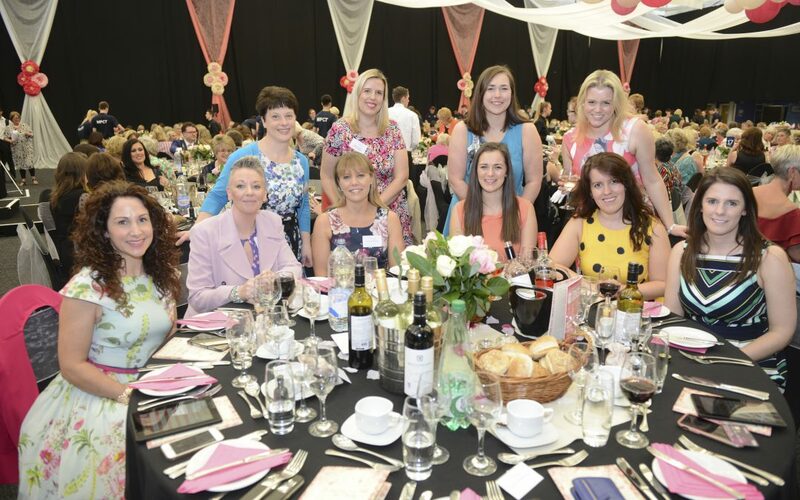 450 guests attended the 26th annual Women in Wales Lunch on Friday 20th April 2018. Ewan Evans, Chief Executive of Fortnum & Mason entertained guests with antidotes from this special ‘Institution’ and Richard and Adam of Britain’s got talent fame performed. Joseph Ribkoff provided the fashion show and the afternoon was a huge celebration with a silent auction and the infamous fabulous raffle with 50 items to be won. Following the lunch the WIW Trustees presented a cheque to Save the Children for £16,000 to fund projects in Wales and £10,000 to Wales Air Ambulance to purchase a baby pod for the helicopter. The 2019 lunch is being held on Friday 22nd March.